Long, thick, dramatic eyelashes are the most important part of a finished makeup look. 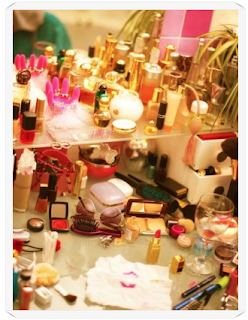 And all of us women have the same goal: to bat our lashes and leave people speechless. But let's face it... most of us were not born with to-die-for eyelashes. Good news: its 2011, so we have a lot of options. I'm about to educate you thoroughly on how to get amazing lashes, no matter what God gave you. This is the most important, and most basic step in getting great lashes. EVERYONE needs a good mascara, so the first step is to decide on the look you're going for. Mascaras these days are so advanced, and there are so many options. Choosing the right mascara for your lashes is essential, and it does take practice. 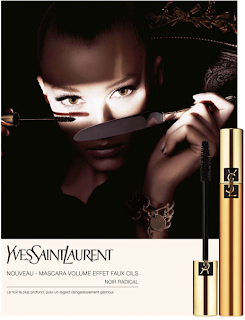 YSL Faux Cils Mascara is great for those who want a lot of drama, because it packs on volume and adds length. 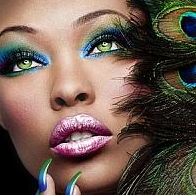 It comes in several colors, so if you want your eye color to pop, try one in a contrasting hue. 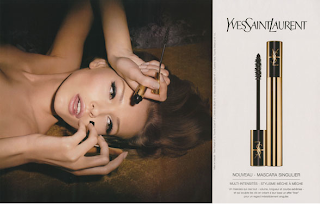 If you are opting for a lot of separation and definition, YSL Singulier Mascara is great, because its rubberized comb-brush gives a lot of separation with zero clumping. There are also some great lengthening mascaras out there that have fibers in them, such as Jane Iredale Longest Lash Mascara. If you have problems with your mascara coming off easily, Becca Ultimate Lash Mascara is great because it creates a tube-like structure around your eyelashes that bond securely until it is removed with warm water and makeup remover. All mascaras, regardless of formula, work better with a primer. Primers are usually white in color, and they coat your lashes to give mascara a boost. Some primers have fibers in them to lengthen your lashes, such as Japonesque Fast Lash. Others help to maintain the health of your lashes using moisturizers and conditioners, like Jane Iredale Purelash. After you've used your primer, its a perfect time to curl your eyelashes! There are so many lash curlers available, Tweezerman makes a great one with replaceable pads, and Japoneque even offers a heated lash curler! Clamp the lashes between the pads of curler GENTLY, once at the base and once at the ends to give them a natural bend. Now, get your mascara out. Apply it by wiggling the brush at the base of your lashes, then sweeping it upward. The wiggling motion adds volume, separates them, and gives them a tapered look. Apply 2-3 coats for added length and volume, and use a lash comb such as Tweezerman folding iLash comb to remove any clumps. Even with primer, mascara is really just the beginning. If you want more, you've gotta fake it! False Lashes, Lash Extensions, and even GROWING your own eyelashes are all very popular for lash extremists such as myself. There are pro's and cons to each of these options, of course, so being well-informed is important for choosing the best one for you. They come in hundreds of shapes, lengths, and sizes. False lashes are very temporary, as the application is only designed to last throughout the day, but they're a lot of fun, and yes, they are are reusable. The most subtle option is individual lash application. Jane Iredale carries a great individual lash kit that comes with multiple lengths and glue. To apply, use a tweezer to grab end of a lash piece, dip the base in the glue, and lay them on top of your lashes, right at the base. Start at the outer corners with the longest lashes, and gradually move inward, using the shorter ones toward the inner corners. My personal favorites are strip eyelashes. They come in demi size, sectional pieces and full strips. Demi and sectional lashes are used on the outer corners only, and are great for smaller eyes. They add just enough drama without making small eyes look overdone. The sectional lashes are similar to the individuals, as you add them in pieces until you feel like you've achieved the look you want. Full strip lashes are great for big eyes and a lot of drama...but there are plenty of natural-looking options. Japonesque carries my favorite natural strip lashes. When I wear them, people don't even realize the'yre fake! Strip lashes have so many options ranging from the very natural to the very extreme; colors, feathers, and glitter are all fun to play with! However, they can be difficult to apply at first. It takes a bit of practice. Finish all of your eye makeup before applying, including eyeliner and a layer of mascara. Once you have all that finished, get your lashes ready! Run a small dot of glue along the entire base of the false lashes. Be sure to use glue that is designed for strip lashes, because the glue for individuals is stronger and less flexible, so it can flake off and can be painful to remove. 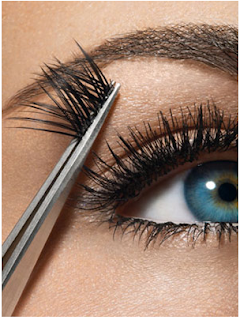 Once you have the glue on the base of your lashes, let it dry for about 30 seconds. Tilt your head back slightly so that you are looking downward into the mirror and your lash-line is stretched out. Set the eyelashes on top of your real lashes and "nuzzle" them up to the base/lashline. Using your finger, push the lash tips upward and wiggle them slightly. This will push the base of the lashes down so that they are perfectly in line with your real lashes. Then, get a pointed object such as a toothpick, and use it to hold the corners down. You can use it to add a dab of extra glue to the corners as well. This should go without saying, but I've seen many women make this mistake: it's very important that the lashes on your left eye match your right eye. I use the space on my inner corners as a guideline. If there's about 1/4 inch between the end of the lash and the inner corner of my eye on the left eye, then there should be the same amount of space on the right eye. While the glue is still wet, you can move them around until you get them in the right spot. Once dry, I like to add another layer of mascara, because it blends falsies in with my real lashes. VOILA!! You've got Party Perfect Peepers! 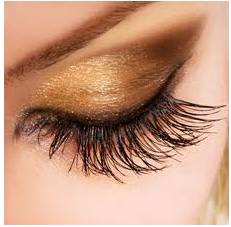 If you're looking for a longer lasting false lash look, extensions are a great option. They are semi-permanent, so they last as long as you keep them up. They are waterproof, do not require mascara, and look awesome! They must be done by a professional eyelash stylist, who applies individual eyelash pieces of various lengths to your real lashes, and bonds them with surgical strength glue. They are, however, VERY expensive, and you will need to keep going back to your lash stylist every 2-3 weeks for "fill-ins" for the pieces that fall off or grow out. 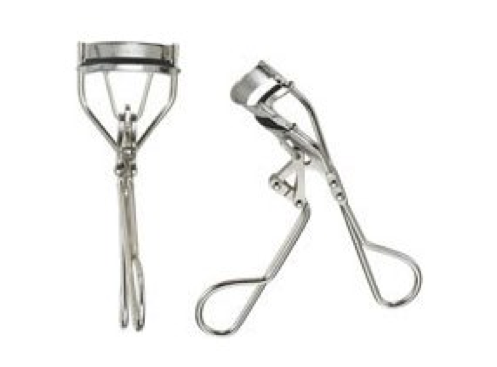 Although they are beautiful, they can be damaging to your real lashes, so the upkeep is very important. This is one of the newest technologies on the market. When originally developed a few years ago, Latisse was quite a phenomenon. Using a medication that was designed to treat glaucoma patients with hair loss, it caused eyelashes to grow longer, thicker, and darker. The problems with Latisse is that it's only available with a prescription and can cause discoloration of the eyelids and eyes. Today there are newer, better lash growth products available such as LiLash, which offers the same active ingredient, in a gentler formula that is packed with lash conditioners. Lilash is available without a prescription and does not cause any eye discoloration. Simply apply it at the base of the lashes every night before bed. You can use it on your brows too, if they're need a little help. After about 2 weeks of use, I noticed my mascara started looking better. After 5 weeks, I no longer need to wear falsies every day! Full results are expected in 8-10 weeks, and with continued use, lash growth is practically infinite! Once you are satisfied with the length of your eyelashes, you don't have to use it daily anymore--just apply it once or twice a week to maintain the length. I am beyond impressed with the results I've seen from this product, and I recommend it for anyone who wants the best lashes they've ever had. So ladies, now that you have the prettiest, fluttery, Drop-em-dead eyelashes you've ever had, all you have left to do is show them off at your holiday parties!! But be warned of the side effects: hundreds of compliments and excessive attention! Need The perfect Halloween Look? We've got it covered! No matter what costume you choose for halloween, everyone has one thing in common: THEY WANT IT TO BE THE BEST!!! Whether you're going as a hollywood star, a little devil, or the Little Mermaid for halloween, you want to be sure you have your hair and makeup done just right! At Blush, our team of talented stylists and makeup artists will be here Friday, Saturday and Monday, creating works of halloween art! We have a wide selection of false lashes, brilliant colors, and hair products available to create almost any look you desire! Our girls love to create extravagant looks, are extremely creative, and have several years of experience. So Call today and make an appointment, tell us your halloween costume, and let us work our magic! Whether you're 15 or 75, male or female, you have probably changed your hair color at least once in your life. In fact, most women dye or highlight their hair regularly (every 5-6 weeks) and will continue to do so for the rest of their lives. But most of us never ask the question of "What's in this hair color?" Or even more important, "Is this okay for my health?" I will give some information on the harmful ingredients that can be found in hair color, what to avoid, and what color alternatives and brands are the safest, for you and your hair. So what makes dyes harmful? 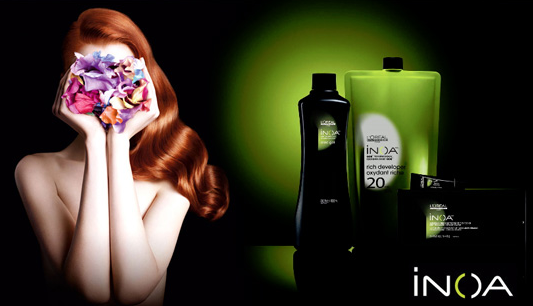 Hair color works by altering the molecular structure of your hair using a combination of chemicals. The combination consists of the actual color pigment, and a developer, which lifts the outside covering, or "cuticle" of the hair to allow for the color to deposit into the shaft. The developer often contains a combination of peroxide and ammonia, which can be harmful to inhale, and can cause allergic reactions to anyone with chemical sensitivities. The peroxide amount found in the developer is known as the "volume", and it is what allows the chemicals to penetrate deep enough to lighten or darken the hair color. 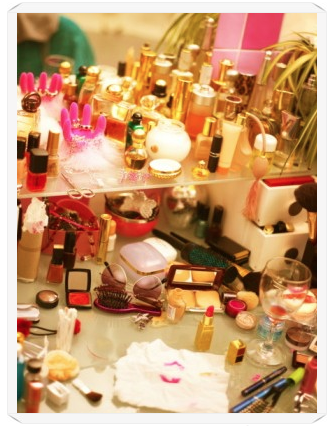 A combination of developer and lightener is used to give highlights, and if the lightener is not dust-free, it can also be harmful to breathe. Many darker hair dyes also contain petrochemicals such as coal tar, and p-phenylenediamine (PPD)--a primary source of allergic reactions. Currently today, there are no permanent colors that do not contain any of the harmful chemicals. However, there are safer alternatives that contain LESS of the harmful chemicals, and some that contain alternative chemicals that have been proven to be safe. If you want to lighten or highlight your hair, ask your stylist to use a "dust free" lightening formula to avoid inhaling the harmful bleach. The reason that dust free is the safest option is because "dust" particles in the lightener can travel through the air and can be harmful to your lungs. 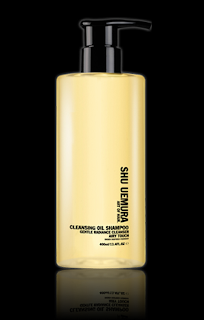 L'Oreal Professional (the brand used at Blush) has several different lightener options that are dust free; including the Platinium paste used for Balayage highlights, and the dust-free powder lightener, used for traditional highlights. If you are changing your hair color to a red or a darker color, and you don't need to cover any gray, Semi-permanent color is a healthy option. Don't let the name fool you, Semi-permanent deposits enough color to give lasting results. It also has less PPD than permanent color, which means that its safe for those with chemical sensitivities, or those who have allergies. Whether you are using semi-permanent or permanent color, an ammonia-free color is going to give you the shiniest, healthiest hair, without the harmful effects of ammonia. Blush carries a great line of color known as Inoa, which is a revolutionary hair color product that contains monoethanolamine, which is an alkaline alternative to ammonia that is safe and odor-free. Inoa works with an Oil Delivery System that increases the active potential of the haircolor system while preserving the hairs natural protective layer twice as much as traditional ammonia-based permanent haircolor. It is a truly unique color formula, and it gives amazing results. Although many people don't give the chemicals a second thought before they get their hair colored, you now see that it can make a difference in your long-term health to use safer alternatives, and it will definitely make a difference on the health of your hair. Now that you're more educated on the topic, go out and get yourself some beautiful, healthy hair, in any color you want! Beauty is not only skin deep. That being said, your skin is your body's largest organ, it contains the most surface area, and it's then part of you that's exposed to everything external. The care and protection of your skin is not only essential to the way you look, but also your overall health. During this next series of entries, I will discuss various ways to care for and protect your skin to assure that your largest organ is aging beautifully. You hear it every day, especially in Summer. The Sun is bad for your skin. It can cause skin cancer, it can cause sunburn, and it ages your skin. But has anyone ever explained how or why it happens? I'm about to give you a little run-down on the structure of your skin, the reasons the sun is so bad for it, and how to protect it with a few of our amazing products. 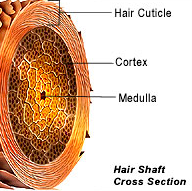 The photo below is a cross-section of your skin. The outer layer, the part that shows, is the epidermis. This is what protects and "waterproofs" your body. it has no blood vessels, but is instead nourished by the vessels found underneath, in the dermis. 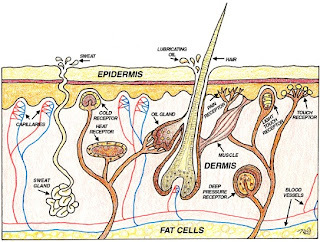 The dermis is where nerve endings, sweat glands, oil glands, blood vessels, and hair follicles are found. The tissues spread throughout the dermis are collagen, elastic tissue and reticular fibers. It is split into several, more complicated layers of connective tissue, and functions to cushion the body from stress and strain. 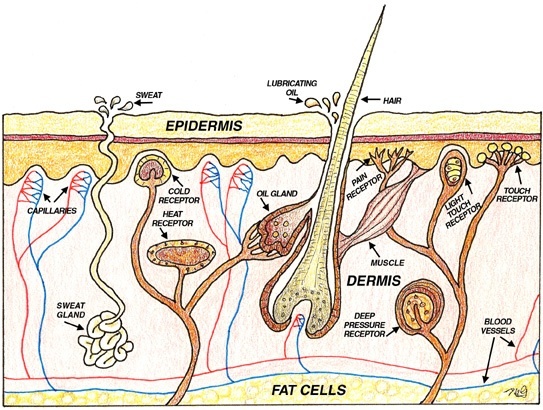 Underneath the Dermis, you will find an area of fat cells known as the hypodermis, which connects the skin to the muscular tissue and insulates the organs. This world is full of pollution that contains oxygen isotopes known as free radicals, which attack your skin, break down the collagen, change your DNA and RNA, and can even cause cancer. To counteract the effects of free radicals, antioxidants are needed, and it's important to find skincare that is rich in antioxidants. Far more scary than free radicals, and often found in conjunction with them, the sun's ultraviolet rays cause extreme damage. It is important that your sunscreen protects against all of the harmful radiation emitted by the sun. UVB Radiation-"UV-BURN" rays. These rays affect the epidermis, or outer layer, of your skin. They are the rays that give you a tan, and cause sunburn. They are most intense during the hours of 10am and 2 pm, when the sun is brightest. 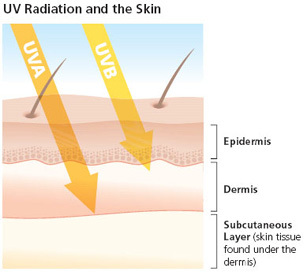 UVA Radiation-"UV-AGE" rays. These rays penetrate deeper into the skin to the dermis layer, and although they do not cause sunburn, they can damage the structure more efficiently than UVB rays. They are intense throughout the entire time the sun is visible, and are not filtered by glass (i.e. you can get damage through a window from these rays). So how do these rays affect the aging process? It's a little scientific, so follow me if you can. In the dermis, sunlight can cause the breakdown of collagen fibers, which causes the accumulation of abnormal elastin. When the accumulation occurs, it triggers enzymes that rebuild the collagen, but since it's been damaged by the sun, the enzymes don't always work properly. This results in the formation of disorganized collagen fibers known as solar scars. When the skin repeats this imperfect rebuilding process over and over, wrinkles develop, skin loses overall elasticity, and pores enlarge. The combination of the abnormal elastin buildup and the damaged genetic material from the free radicals is what can cause cancer to grow. Thickening or thinning of the skin can also occur from UV exposure as collagen and elastin structure is altered, and blood vessels can become more pronounced as a result of the vessel walls thinning. Discoloration such as freckling, liver spots, hyperpigmentation (darkening), or hypopigmentation (white spots) also occur as melanocytes--color producing cells--become sun damaged. When melanocytes are damaged, they produce freckles or liver spots. When they are destroyed altogether, they cause white spots. Raised moles, known as actinic keratoses, are also found in areas of high sun exposure, and are the bases for melanoma--or skin cancer. What about your immune system? Your skin is the first line of defense in your complex immune system. Not only is it a physical barrier, but it also contains white blood cells and special skin cells known as Langerhans cells that protect against infection and cancer. When the skin is exposed to sunlight, however, certain chemicals are released that suppress these immune factors. When you get a sunburn, you also experience another line of defense known as apoptosis, or cell death. This is usually seen when you peel after a burn. However, extended UV exposure can prevent this cell death, allowing cells to continue to divide and possibly become cancerous. What kind of skin cancer is out there? There are three main types of skin cancer: melanoma, basal cell carcinoma, and squamous cell carcinoma. Melanoma is the most deadly skin cancer because it metastasizes more readily than the other skin cancers. It is believed that the amount of exposure of the skin to the sun before the age of 20 is actually the determining risk factor for melanoma. Basal cell carcinoma is the most common skin cancer and tends to spread locally, not metastasize. SO THE BOTTOM LINE IS: SUN IS NOT GOOD FOR YOUR SKIN!!!!!! YOU NEED PROTECTION!!!! Now that you're forever afraid to go anywhere near the sun again, I'm here to tell you that you will be okay! There is a very easy way to protect yourself from ALL of these harmful effects of the sun! At Blush, we carry a great line of skincare known as Kiehl's, and it's been around since 1851. They have several options for sun protection, from the barely-there to the super-sun-shield. 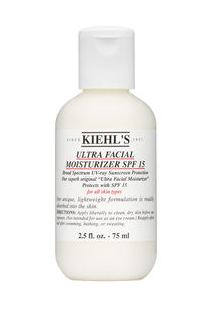 Kiehl's Ultra Facial Moisturizer SPF 15 is great for those who want a protecting moisturizer. It's sunscreen protects against UVB rays and the moisturizer is great for all skin types. 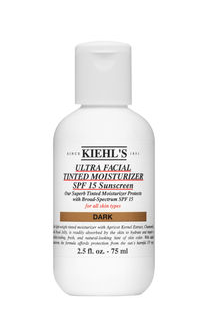 Khiel's Ultra Facial Tinted Moisturizer SPF 15 is great for those who want a little bit of coverage with their moisturizer. 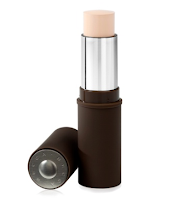 It's lightly tinted, so it evens out skin tone, without looking like you have makeup on. Its lightweight, so it doesn't feel greasy or heavy on your face, and contains broad-spectrum SPF, so it protects against UVA and UVB light. 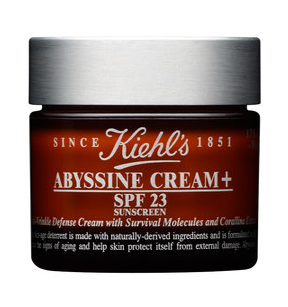 Khiel's Abyssine Cream+ SPF 23 is an anti-wrinkle defense cream with survival molecules that are found in hydrothermal vents at the depths of the ocean. 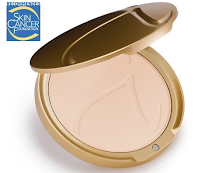 It helps to soothe and protect skin, repair wrinkles, and contains protection from UVA, UVB, and free radicals. It's great for those who are already experiencing the effects of sun damage. Need a bit more protection? 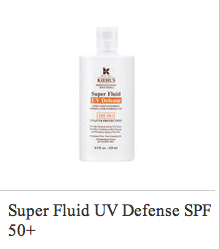 Try the Super Fluid UV Defense SPF 50+. You can layer it over moisturizer or use it alone to prevent 90% of all aging caused by the sun. Its Oil-free, ultra-lightweight texture delivers a synergistic UV filtering system combining patented photo-stabilized technology with long-lasting broad-spectrum protection to deliver outstanding efficacy against UVA & UVB rays on the skin’s surface. Now of course, We can't forget about your body. 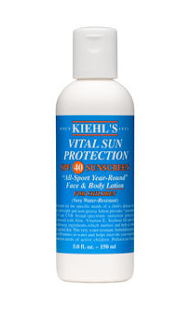 Khiel's offers several levels of body sun protection: Vital Sun Protection in SPF 15, 30 or 40. Each formula is a lightweight, non-greasy lotion providing UVA and UVB broad-spectrum sunscreen protection. 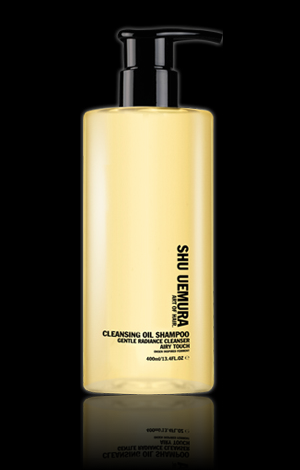 It is formulated with Aloe, Vitamin E, and skin conditioning ingredients, which nurture and help to soften dry, parched skin. Each lotion is a very water-resistant formulation, protecting up to 80 minutes in water, so it is suited to help meet the year-round sun protection needs of active adults. Skincare is not the only place you can get UV protection. There are several lines of makeup that also protect against the sun. 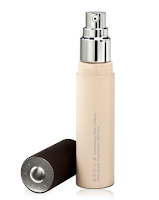 BECCA Cosmetics offer broad spectrum SPF 25+ in their Luminous Skin Color, and SPF 30 in their Stick Foundation. Jane Iredale offers a physical protection of SPF 20 in their mineral powder foundations, and is recommended by the Skin Cancer Foundation as a prevention method. With all of these great products available at Blush, you can leave knowing you are protected against the sun! Sun protection is just the beginning to having great skin, but it is definitely one of the most important parts. Stay tuned for the next few chapters, as I will discuss how to care for all different skin types, colors, textures, and ages. Because gorgeous skin is not only your first step toward overall beauty, it's also part of keeping yourself healthy!